10Bet offers a thrilling and interactive eSport experience with the possibility to secure profits through a complete and partial cash out option. The variety of markets are a bit limited, but all popular eSport games are well covered to enjoy. With an awesome mobile application, you can always make the most of your experience on the move and if you ever need support, they’re always there to help you! 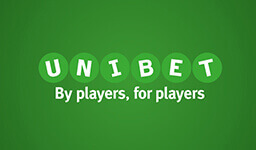 Skrill and Neteller appreciators will be pleased to find the welcome offer available and for anyone who likes casino on the side, there’s a nice selection of games! Check out 10Bet eSports today by clicking the button below or continue on reading the full review! By signing up and using the above bonus code on your first deposit, 10Bet will give you a warm welcome with 50% extra up to €100. To make the most of the offer, make a deposit of €200 and you’ll receive €100 more to bet with! – For single bets the received bonus + deposited amount needs to be wagered 6 times on odds 1.80 or higher within 30 days. – For accumulator bets the received bonus + deposited amounts needs to be wagered 6 times on 1.40 or higher for every selection within 30 days. – Also note that some bet types don’t contribute to the turnover. 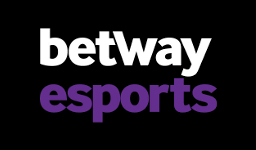 When it comes to eSports betting at 10Bewe’re quite impressed by their selection. You will definitely be able to find a lot of matches to bet on, on several different games. If it wasn’t for the limited markets offered (match winner, handicap and over/under total score), 10Bet would have received a much higher rating on eSports coverage. 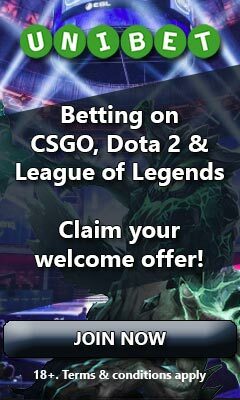 This is however definitely a good coverage and with 24/7 customer support available and fairly good withdrawal times, you should definitely check 10Bet eSports out as long as you don’t mind the limited markets. At 10Bet withdrawals are usually processed within 24 hours, but as long as their payments department is working it usually doesn’t take more than a few hours to have it processed. When it comes to settling of bets 10Bet always do their best to have them settled as soon as possible. Usually they are settled within 1 hour from the match ending. This is regardless of it being a live or pre-match bet. 10bet offer around 400 different video slots from 10 different game providers; NetEnt, Microgaming, Quickspin, iSoftBet casino, Betsoft gaming, Playtech, Games OS, Gameplay interactive, PlayNGo and Playson. The games can be filtered either by game provider, popularity or in alphabetical order. You can also make the games your favorite ones and then filter them by that. In addition to the many slots they have, they also offer a very wide selection of video pokers and table games, as well as several different rooms to choose from in the live casino. 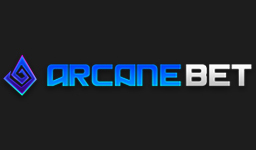 Should you be into video pokers and table games, 10bet is definitely well worth checking out. Last but not least, 10bet also offer around 20 different other games that don’t fit any other category as well as three different sports on Virtual betting; Football, Horse Racing and Greyhounds. Argentina, Austria, Bosnia, Brazil, Canada, Finland, Germany, Iceland, India, Indonesia, Ireland, Netherlands, Nigeria, Norway, Switzerland, UAE, UK. Afghanistan, Angola, Australia, Belgium, Bulgaria, China, Cyprus, Czech Republic, Denmark, Estonia, France and its outlying territories, Greece, Greenland, Guyana, Hong Kong, Hungary, Iran, Iraq, Israel, Italy, Japan, Laos People’s Democratic Republic, Latvia, Lithuania, Macao, Malaysia, Mexico, North Korea, Papua New Guinea, Philippines, Poland, Portugal, Romania, Russia, Singapore, Slovakia, Slovenia, South Africa, Spain, Syria, Sweden, Taiwan, Turkey, Uganda, Ukraine, USA and its outlying territories, Yemen.